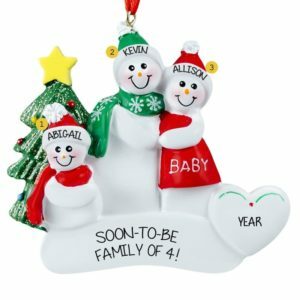 Celebrate a new addition to the family with our unique selection of Expecting Couple with 1 Child ornaments! 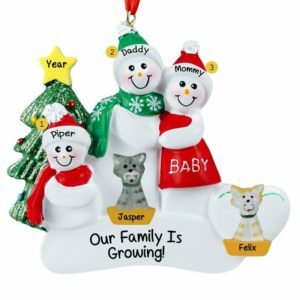 Your family of three is soon to be a family of four! 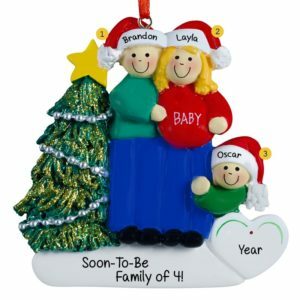 You cannot wait for your new baby, and neither can your son or daughter, soon to be a big brother or sister! Will the new baby be a boy or a girl? 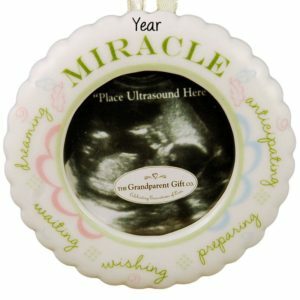 The ultrasound will tell! The birth of a child is probably the most monumental occasion in our lives, and you will certainly want a cherished keepsake for your Christmas tree. 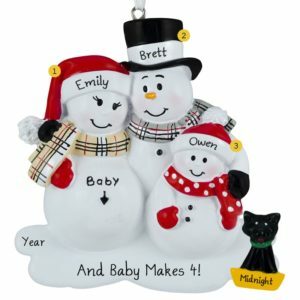 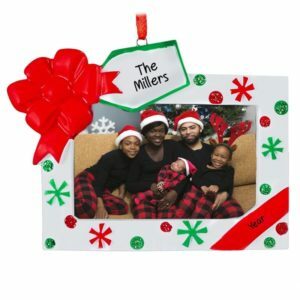 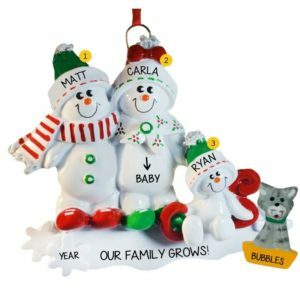 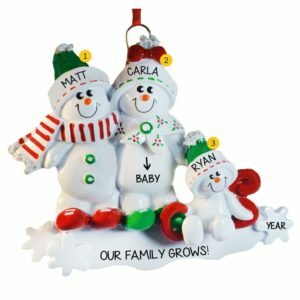 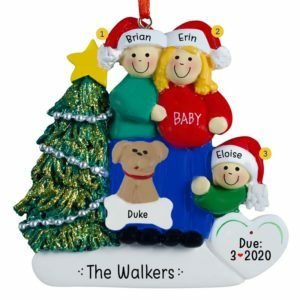 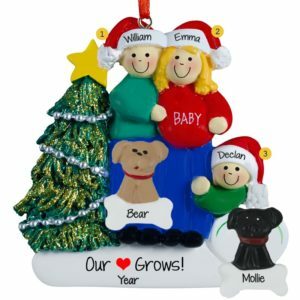 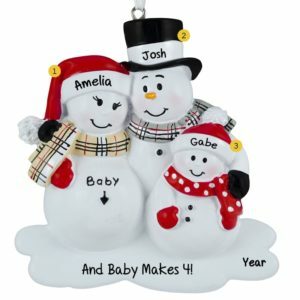 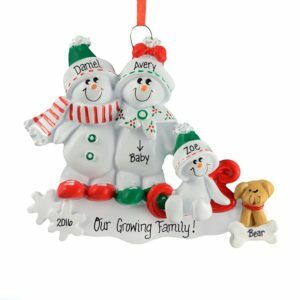 Personalized Ornaments For You has a large assortment of expecting couples with 1 kid from which to choose. 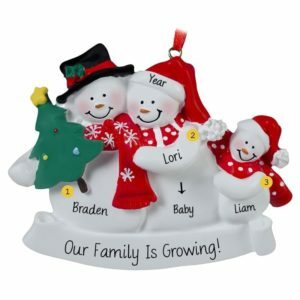 Whether you want a cute penguin family, a snow family, or a more realistic family, we have those and more. 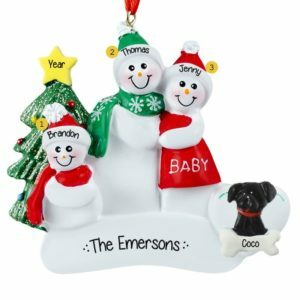 Not only will our talented elves make sure your sentiment is beautifully written on your ornament, but will make sure your dog or cat is included in your growing family as well. Whether for your own family or a family near and dear to you, our pregnant couple with a child ornaments are sure to please!